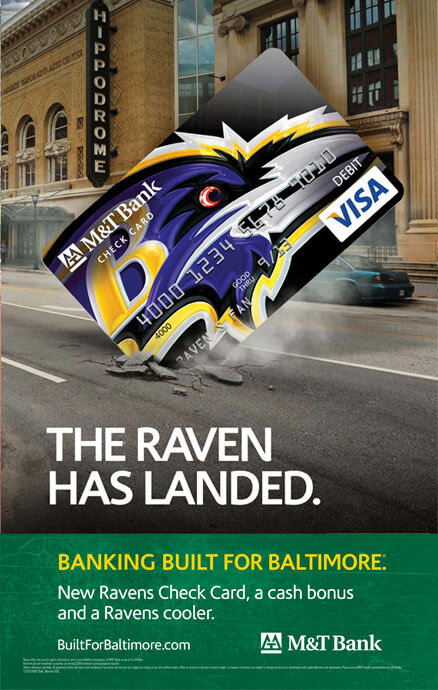 When M&T Bank acquired the second-largest bank in Baltimore, no one in the Mid-Atlantic region had any idea what M&T was all about. First impressions being so important, M&T had to introduce itself in a positive, reassuring way, to retain existing customers and attract new ones. And we were right there to help. 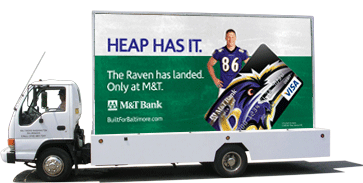 The Baltimore Ravens is one of the biggest brands in the Mid-Atlantic, so the bank made the smart decision to partner with the franchise. 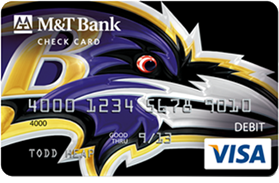 After naming rights to their stadium were secured, we helped leverage this partnership by creating Banking Built for Baltimore – a checking bundle that included an exclusive Ravens Check Card and a Ravens-themed gift. We recruited Ravens icons and used heavy traditional and non-traditional media to spread the word about this exciting promotion. Todd Heap was spotted all over town. 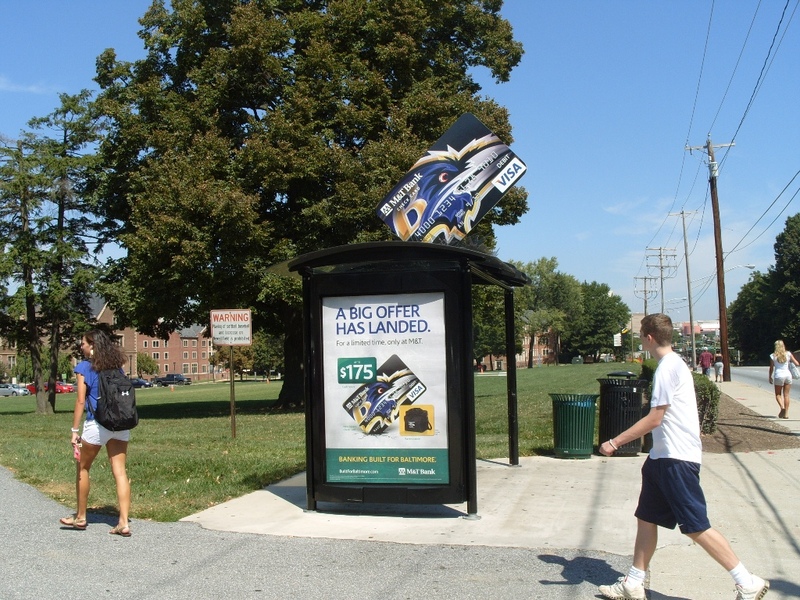 Actual giant cards adorned the tops of bus shelters. We gave the card a bold new design in 2010. Our efforts have created more than a billion impressions so far. And we’ve helped the bank land an unprecedented number of new checking accounts. 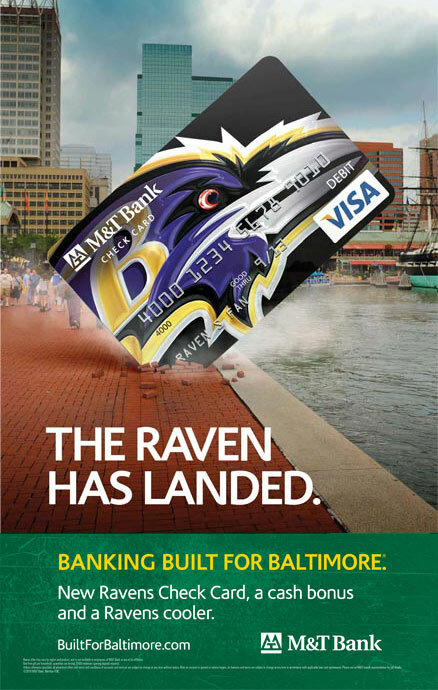 Most importantly, we’ve helped M&T Bank become a trusted household name in Baltimore.